From the team at Claws n Paws, We wish all of our thousands of valued members and friends a Merry Christmas and Safe New year. If your pet has any fears or phobias over this time incl. thunder, fireworks or travel anxiety check out our range of HomeoPet natural liquid remedies. $5 Dog Wash Did you know that our bath has no time restriction and uses fresh heated water on every dog? At $5 per dog, it is at least half the price of the ones at the carwash and our competitors, plus ask for your free cologne sample after you’ve finished. Nail clipping available on the spot, no booking required. Summer is well and truly here. Ask about our range of cooling solutions Inc. water and gel cooling mats. We will have many baby budgies hatching over the next few months. We have a group of wonderful breeders with excellent stock and achieve the most exquisite array of colours. If you’d like to hand tame a bird, buying one fresh from the nest is the best way to start. Ask us how in store. Come and check out our laying hens and ask us how easy it is to keep chickens in your back yard. Bring your dog or cat in for a FREE on the spot 6 Point Pet health check and if required we can advise an array of wonderful products and techniques to keep them Healthy and Obedient. * Outward Hound, Da bird and Zippy Paws dog and cat toys. They offer excellent colours, textures and features that your pet will love. * 7 new varieties of Black Hawk and Ivory Coat Grain Free Dog Foods. * Colopet Japanese lint rollers. We currently are the only store in Australia to have these amazing pet hair removers and now have varieties for the car, purse and home including floor rollers! Rob and the Claws N Paws team . Claws n Paws Pet Supplies is a family owned, proudly independent store aligned with the Just For Pets Buying Group. Opened in November, 2012 by Robert Thompson. It has quickly established itself as a destination store for thousands of Loyal members, Offering a fantastic range of quality products for all pets, unsurpassed knowledge by a team of dedicated, caring employees who continually go the extra mile for the customer. Claws n Paws Pet Supplies also offer in-store DIY Hydrobath facilities for only $5 per dog, Dog Grooming, Small Birds and Backyard Chickens. 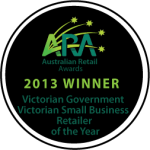 We are extremely proud of our back to back Victorian Small business of the year in 2013 and again in 2014, awarded by the Australian Retailers Association and sponsored by the Victorian Government. 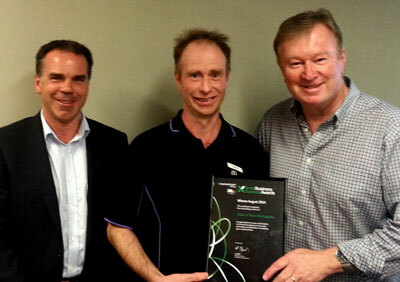 We also recently took out Just for Pets Retailer of the year for 2013 and 3aw/Momentum Energy small Business of the Month for August 2014.